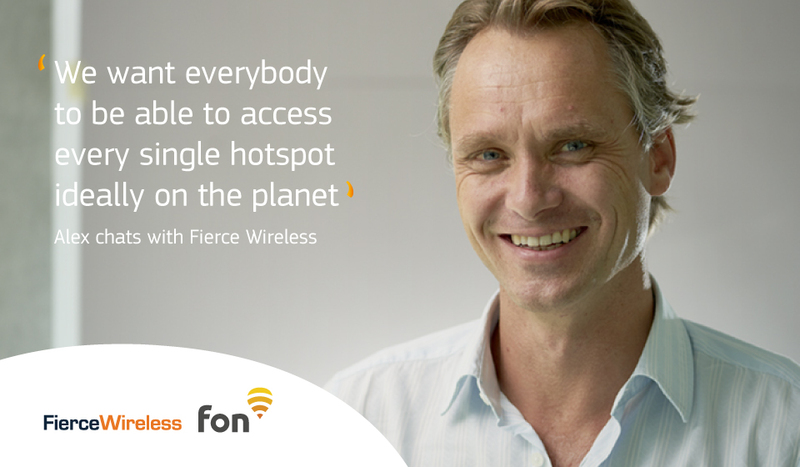 A few weeks ago, our CEO Alex Puregger spoke with FierceWireless to talk about Fon’s WiFi network, global hotspots, and upcoming trends in the industry. About to celebrate our 11th birthday, Fon has successfully revolutionized the residential WiFi market, clocking in today at over 20 million hotspots around the world. Last year, we started expanding our footprint to include premium hotspots in places like airports, cinemas, and shopping centers – and there many new hotspots in store for 2017! We also chatted with FierceWireless about our commitment to improving the connection experience for both our customers and WiFi fans worldwide. This fall, we partnered up with Microsoft to launch WiFi passes via the Windows Store. Our goal was to simplify the connection process for users, and provide them with a seamless, automatic experience as they jumped from hotspot to hotspot. Alex also explored different topics and challenges in the WiFi industry – many of which we will continue to see popping up in 2017 and beyond. He discusses some of the hurdles that hotspot 2.0 faces, the attitude that telco carriers have recently adopted toward WiFi (it has certainly changed over the years! ), new WiFi technology, and more. Catching up with FierceWireless was a great way to kick off the new year, and we are really looking forward to all of the exciting and innovative things Fon has in the pipeline for 2017. Make sure to follow us on LinkedIn and Twitter to keep up with all the latest at Fon.